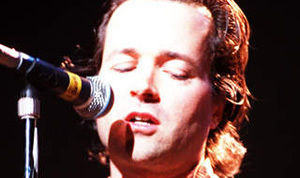 Typical of the things that have stayed with me since my youth, the very first time I heard the Violent Femmes and in particular, their singer Gordon Gano, I had to throw out all of the ideas I had about what it took to make great music. Here’s what I thought you needed: slick playing, pitch-perfect vocals, great equipment, great production, great songwriting. The Violent Femmes were a 1/5 according to my list and yet I immediately knew they weren’t getting it wrong, it was my list that was wrong. They were getting it right in a big way. If you had asked me beforehand what kind of music I disliked, I probably would have described something pretty close the Violent Femmes. I distinctly remembered being quite shocked and a bit pissed off that I liked them so much. Juvenile lyrics, whiny, atonal vocals, thrashy, twangy crappy guitar playing, if I saw it on a menu, I wouldn’t order it in a million years, yet there it was and I loved it. Thanks Gordon for making the world of music a whole lot bigger for me.